Grew up… in New York City in the early 20th century on the Lower East Side. Her beginnings were humble, but her ambitions were not. Living… the life she always wanted. She’s got a husband and daughter she loves and a successful singing career. Relationship Status… married to Nick, with whom she shares a daughter. At first, she and the dashing Nick Arnstein are friends, as the two meet after Fanny's vaudeville debut. Over the years, they grew closer and closer. Eventually, Fanny is seduced by Nick, but is she more invested than he is in their relationship? Challenge… dealing with Nick’s gambling habits. While Fanny is quite responsible, Nick either ends making a lot of his money betting big, or losing it over risky investments. Just like their relationship, his financial situation goes up and down like a roller coaster. 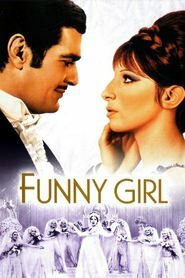 Fanny Brice's popularity ranking on CharacTour is #2368 out of 5,000+ characters. See our top-ranked characters and read their profiles.